Beautifully cut pave diamonds nestled in oxidized sterling silver form these brilliant Pave Circle Earrings by Avindy. 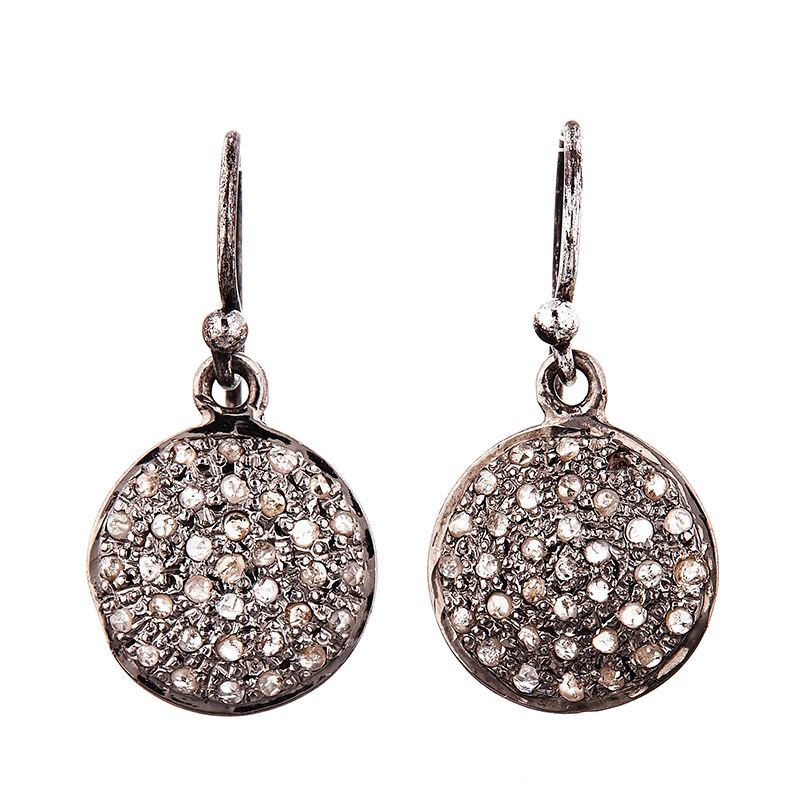 The round diamonds encircle the center to complete the look and are secured to French hook ear wires. Capturing the light at any angle, these earrings are sure to add sparkle and elegance to any outfit.